I have to admit that after just a short browse on the company website I had several “Why didn’t I think of that?” moments. A beanbag chair, an ottoman, a pillow? All pulling double-duty as allowing convenient, hidden storage for so many items, especially children’s items, and toys. And here comes Sleep N’ Pack that is perfect for sleepovers, sleepouts, and really sleeping just about anywhere you can get away with it, for kids and adults alike. 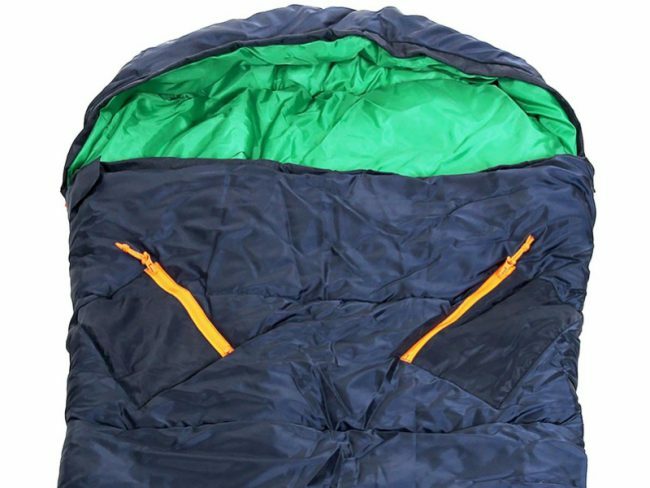 Sleep N’ Pack looks like a normal softside backpack but unfolds into a standard sleeping bag. 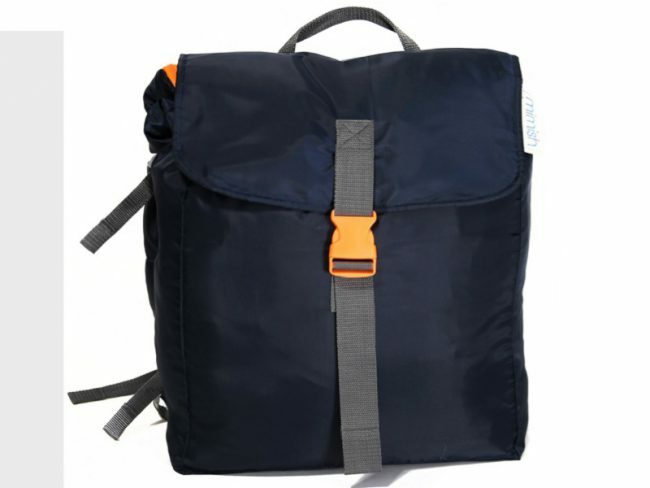 It is equipped with three zipper storage pockets to hold essential items including toiletries and extra clothing. 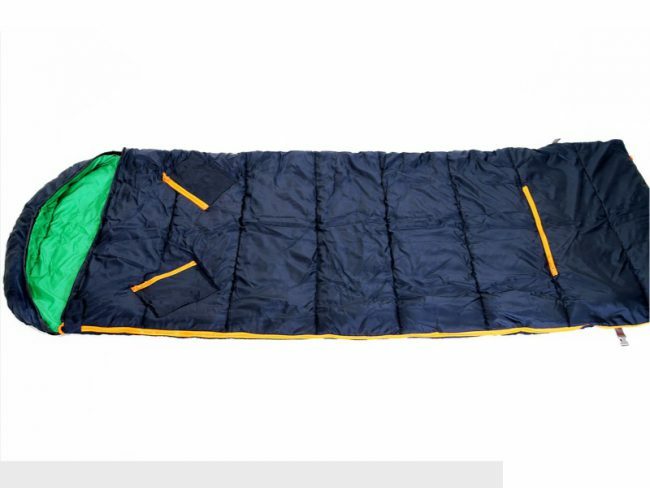 It is soft padded and has easily adjustable straps and there is a drawcord for the hooded portion of the sleeping bag. The shell is water-repellent with a temperature rating of down to 37ºF and the entire unit weighs only 3.5 lbs. 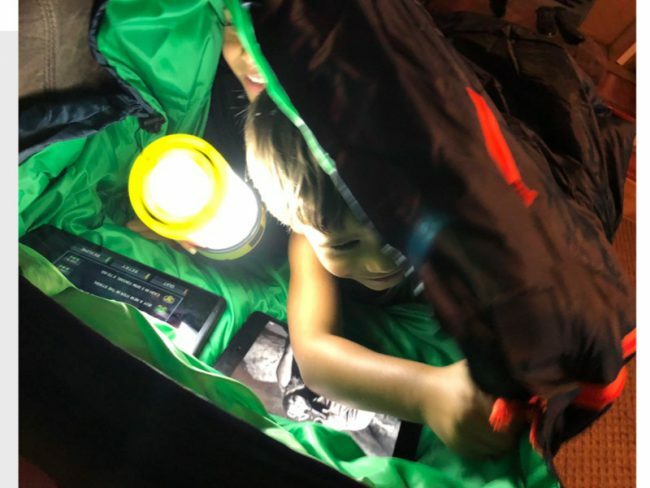 Sleep N’ Pack is not for the serious outdoorsman but is the perfect item to keep in a child’s room in case of last-minute sleepovers or in the back of your car in the case of unforeseen stops or visits. The grandboys could not believe I was unrolling a sleeping bag when I walked into the den while wearing a backpack, but I could barely pull them out of it when I rolled it out. An immediate hit in our house while babysitting today, and they thought they were really camping when I pulled out our LED camp light. I don’t think playing on their tablets while in the sleeping bag counts as “roughing it”, though. 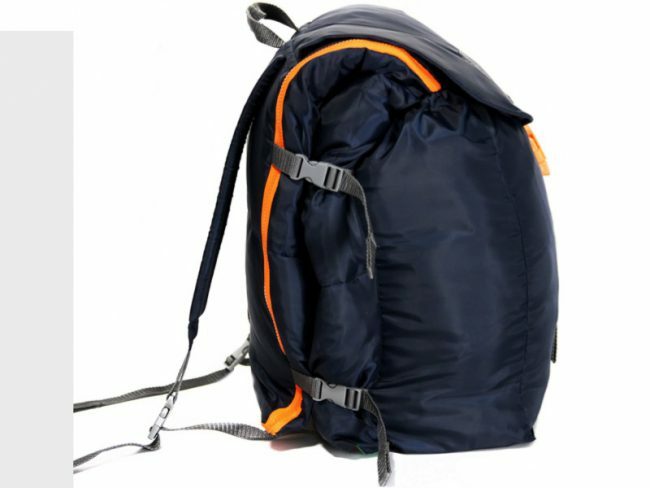 There are three color combinations for Sleep N’ Pack and more information can be found at mimishDesigns.com. It is constructed from 100% polyester and will fit anyone from kids to adults. The Sleep N’ Pack retails for $99.99. Source: Sleep N’ Pack review sample provided by the manufacturer.